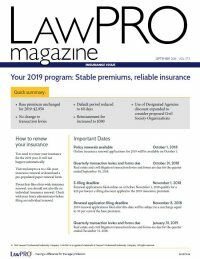 Daniel E. Pinnington was appointed President and Chief Executive Officer of LAWPRO in 2018. From 2012 to 2018, he served as Vice President, Claims Prevention and Stakeholder Relations, overseeing LAWPRO’s claims prevention and outreach initiatives. Dan joined LAWPRO in 2001 as Director, practicePRO and was the driving force behind the practicePRO program – LAWPRO’s innovative and internationally recognized claims prevention initiative. He used his unique combination of practice experience and technology expertise to provide lawyers with tools and resources to assist them in avoiding malpractice claims and succeeding in the practice of law. Before joining LAWPRO, Dan practised for eight years in the Litigation Department of a Niagara-area law firm. Dan was called to the bar in 1993, having graduated with a combined LL.B./J.D. from the University of Windsor and Detroit Mercy College of Law. Dan is a Fellow of the College of Law Practice Management and is a prolific writer, speaker and blogger on risk management, legal technology and law practice management issues. He has given hundreds of presentations all over North America and has chaired more than a dozen major conferences. 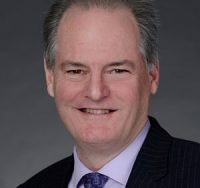 He is very active in the American Bar Association’s Law Practice Division and Chair of ABA TECHSHOW 2007 and Editor-In-Chief of Law Practice magazine from 2009-2012. He was co-author of The Busy Lawyer’s Guide to Success: Essential Tips to Power Your Practice, he has contributed chapters to several other books published by the ABA LPM section. He was a long standing member of the ABA Legal Professional Liability Standing Committee. Over the years Dan has also been very active in the Canadian and Ontario Bar Associations in a variety of roles.